Since the summer I have had several problems with my skin, including random dry patches appearing and areas that remain white even whilst the rest of my skin is tanning. At first I blamed it on sunbathing too much, but when it continually got worse at home, I had no idea what I was going to do. Then, as if by some miracle, I got an email from Bio-Oil, Ireland. I had always heard about this product but had presumed it was for stretch marks etc. I didn’t realise that it is in fact perfect for skin problems exactly like mine. When I heard they were sending me some samples I was so excited at the possibility of finally finding something to help my skin once and for all! I have been using Bio-Oil now for just over a month and I notice a huge improvement in my skin, not only in the problem areas but everywhere. I even use it on my face from time to time when it needs some extra TLC! My skin now has a glow that it hasn’t had for years and I have a new found confidence, especially when as a fashion blogger, I am constantly in front of the camera. Particularly as a woman, any slight insecurities that we may have are of course magnified when being faced with photo after photo of ourselves and I was always worried that the problems I was having would get worse and start to become more and more obvious. Bio-Oil is nothing short of a miracle treatment! Unfortunately I do not have any “Before” pics to show you guys so I thought I would share this photo shoot that I did with “Tara Henderson International” in which I feel my skin is glowing for the first time in a long time. Remember ladies, confidence is beauty and Bio-Oil is definitely the key to confidence for anyone suffering with skin trouble like I had been! You can pick up a bottle of Bio-Oil in almost any chemist so check it out guys and girls and I hope you get the same wonderful result as I did! 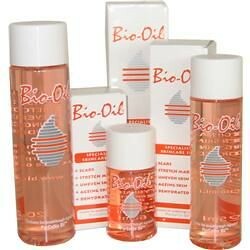 Having some skin problems myself, will definitely try Bio oil after reading this. You look gorgeous & your skin is just perfect. You're so pretty! I love your make up and the dress! You look amazing in these photos! Beautiful make-up and dress. Also like your site make-over. It would be great if you can check out mine and we can follow each other? Love your make-up and the beautiful dusty-pink dress! Lovely hair!! 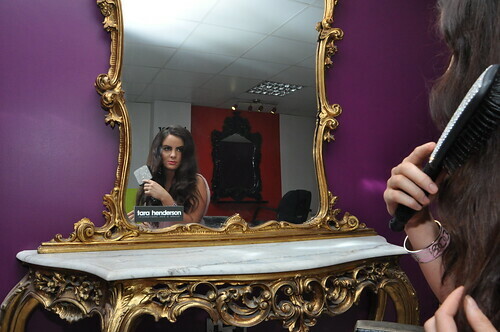 And that vanity behind you!??? Gorgeous! Loving your blog!! Following you on BlogLovin!! Feel free to followback. Hope you have a great week! U look like a princess <3 wow! I just found your blog and it is amazing! check my blog if you want and maybe we could follow each other! I found a lot of helpful stuffs i your blog, you look gorgeous dear.